Part of that reason is quite simply a lack of understanding of what are the best ways to go about course-correcting and in general a failure to understand the importance of developing best practice for recurring processes. That’s why his template pack was put together, and with a single goal in mind: to help you improve your marketing process, plain and simple. These templates are complete business processes, designed to be edited, optimized, and reused. Think of them as digital checklists that you can use to optimize the processes that are already in place, or even build new processes to solve existing problems. 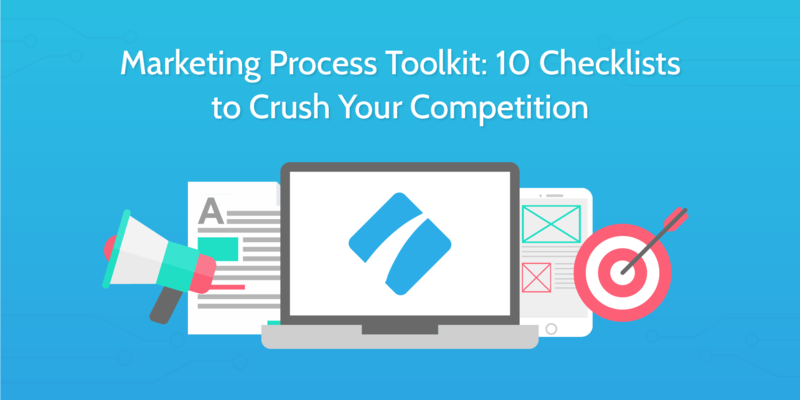 In this post, I will show you 10 checklists that will prove invaluable in refining and shaping your marketing process into a strong, reliable pillar of performance. This pack is the result of extensive research into some of the most crucial components of any good marketing process, and you will doubtless find at least one tool amongst these that you can put to good use. SEO is the esoteric secret to increasing your Google page ranking and in turn the traffic (and revenue) of your business. Except there’s nothing esoteric about it (well, not much) and SEO best practices are no secret. On-page SEO is about factoring-in and tinkering with every possible variable when trying to improve a page’s search ranking position for specific targeted keywords. 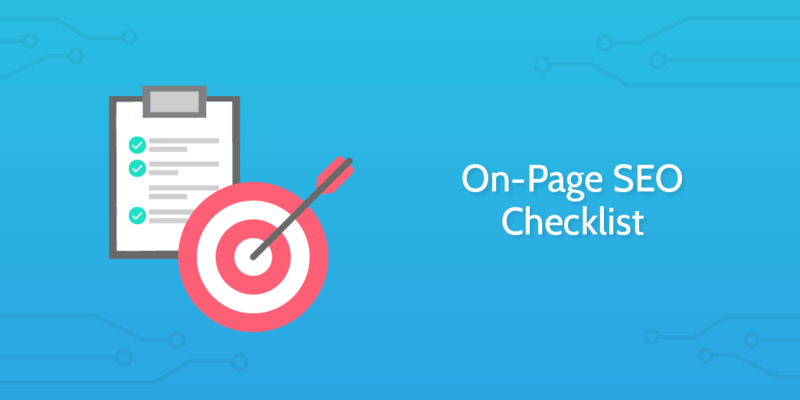 This checklist will run over the whole process of on-page SEO from start to finish so that you can rest assured you’ve maximised the SEO potential of each piece of new content that gets rolled out. Click here to get this checklist. 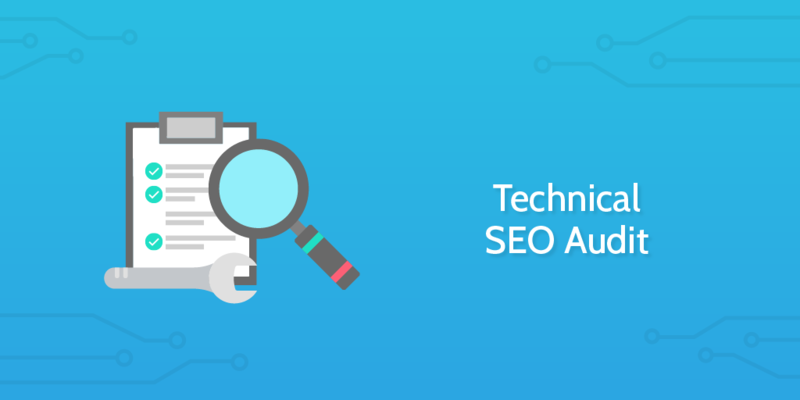 Running a technical SEO audit will give you invaluable insight into what is and what isn’t working with your current SEO configuration, and should provide everything you need to know to fix any problems (or at least begin strategizing a fix). There are many variables to consider, and this checklist will help guide you through the gauntlet of technical SEO auditing. Most of the footwork has already been put in to work out a template for a comprehensive auditing process, designed to run as a recurring process. Getting the most out of Google Analytics depends on your ability to identify bad data, and bad practice produces bad data. It’s worth taking some time to ask yourself whether or not you’ve configured Google Analytics optimally. 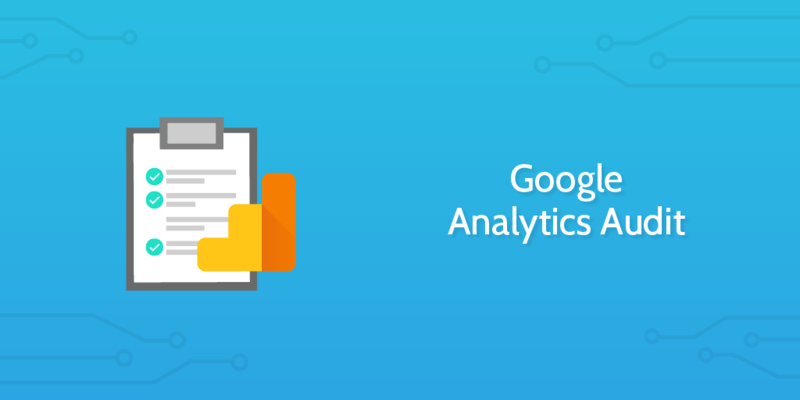 That’s the point of a Google Analytics audit; the problems that come with an untouched, out-of-the-box setup are the same ones that are the result of a poorly maintained setup, the solution to both being adequate quality control by means of a rigorous and well-structured process. Just run this checklist and tweak the contents to best suit your needs, and by the time you’re done, you’ll have a complete report auto-filled with the results of your audit. The components of a successful product launch can be thought of as different parts of a unified process that coordinates the teams involved in marketing, product design, and product development, bringing everyone together in a single vision for launch. It goes without saying that there’s a lot that goes into that whole process, leading up to and even beyond launch day. Research, planning, delegating, feedback and the analytical data behind it all; having a template that outlines all of this and organizes it into a repeatable process will save you countless hours and make your life that much easier, especially through long-term use. 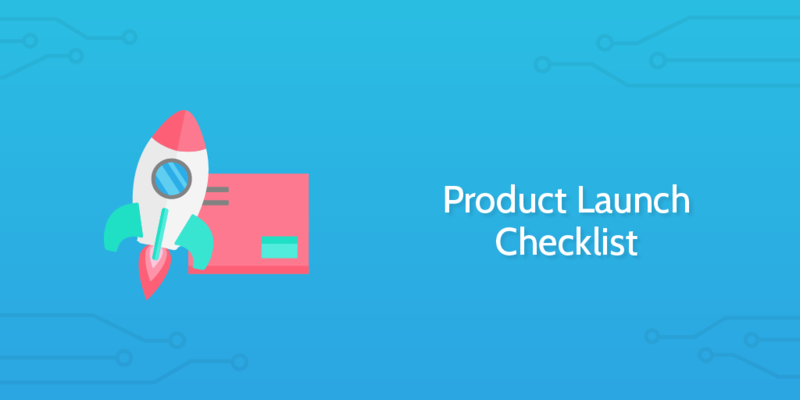 This checklist is our answer to the call for a reliable product launch process; check it out and feel free to edit details to suit your specific needs and goals. 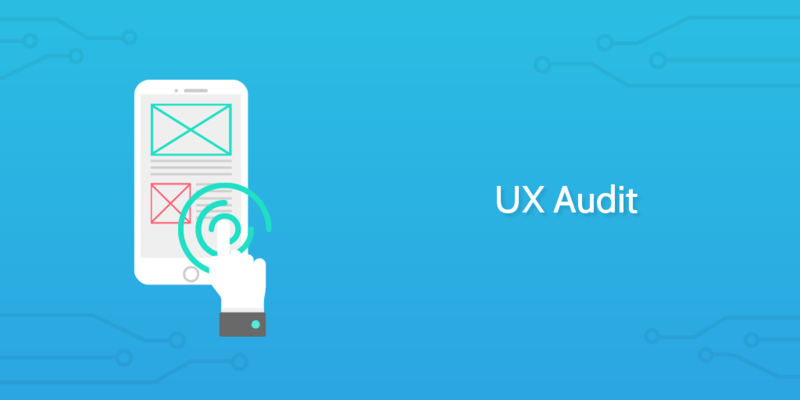 Ever worry that your website’s user experience isn’t performing as well as you originally intended, or that the user profiles you mapped out earlier on aren’t in line with newly established business goals? That’s what this checklist was designed for. Audits are great at discovering problems, but not all of them are focused on solving them. With the intention of prioritizing actionable insights over static reports, this checklist will help you to master the landscape of your user experience and work out the kinks in your customer journey. Being a good social media manager is about managing your time in the best way possible. It’s also about making sure you cover all your bases – in fact, the two go hand in hand. 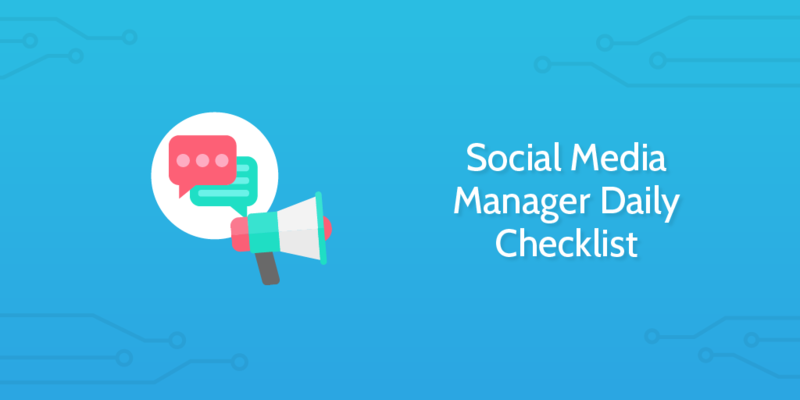 With a checklist like this for daily tasks, you can make sure that you make the most of your limited time whilst not having to worry about memorizing the strict best practice guidelines that govern your social media reach. Run this checklist to start off your day and watch those tasks check themselves off as the free time rolls in. What’s more, Process Street’s API integration makes it even easier for you to hook this checklist into over 1,000 apps that are already part of your daily process. Incorporating a process optimized for daily use into your social media management process could save you a lot of time and resources, and if you haven’t already you should seriously consider how automating some of your recurring processes could do even more to empower you. If social media influencers are gatekeepers, then this checklist is a key. To what, you ask? Loyal customers. Or more accurately, loyal prospects. Because those prospects will only convert if you’re targeting the right influencers. Influencers can help you promote content, boost your brand image, and provide you with a platform to launch new products, but you need to know how to target the influencers that are the best fit for your company and build relationships with them. Make no mistake, this process takes time and is difficult to perfect. 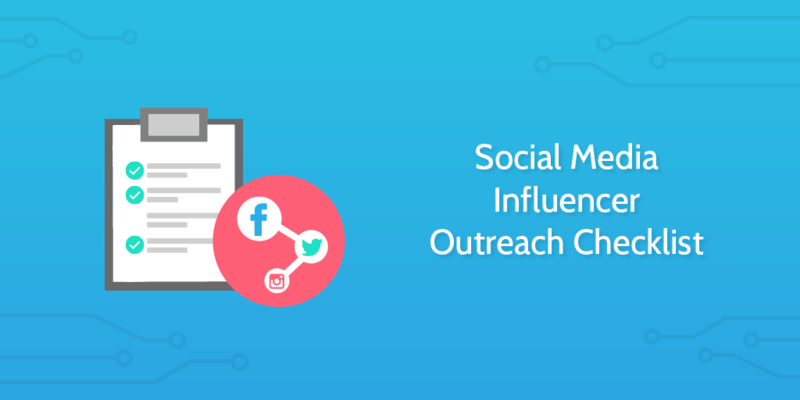 Thankfully, this checklist was designed specifically to streamline and refine the social media influencer outreach process into a useful, reusable template, so it’s easier than ever for you to utilize the full potential of influencers as a key part of your business process. Keyword research is an essential precursor to a successful SEO campaign. Understanding how keywords work will influence your content, marketing strategies, and the overall success of your business; their importance cannot be overstated. They also help you see things from the perspective of your target audience; considering what keywords your customers might use to solve a problem can offer unparalleled insight into how to best market your existing products and even uncover new business opportunities. With that said, it shouldn’t be difficult to understand the importance of a process for defining the keyword research process. 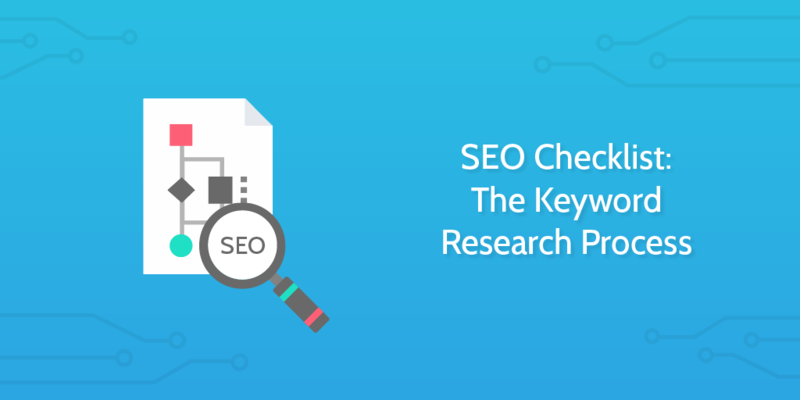 This checklist outlines a complete process for keyword research – you can even modify it for your own specific needs – and by the time you’re done you’ll be able to rest assured in knowing that you’ve covered all of the most important aspects the keyword research process. Do you have a process in place that enables affiliate onboarding of the highest quality and performance? Even if the answer is yes, chances are there is room for improvement, especially when considering processes like these that are recurring, and lend themselves to constantly emerging and evolving integration tech (like hooking everything up to automatically add new affiliates to your CRM, for example). In any case, doing a good job of recruiting new affiliate partners is not easy, and in the case of affiliate marketing, it’s often true that quality trumps quantity (or at the very least, it’s more economically viable to invest into quality). 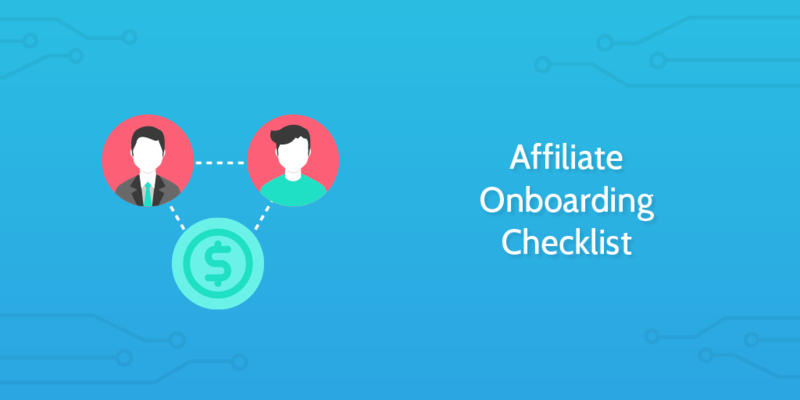 This checklist for onboarding new affiliate partners is a process designed to maximize your company’s efficiency, so just run this checklist to lock onto the affiliates that are the best fit for you. Creating content is always a challenge; arguably an even bigger challenge is promoting that content. It makes sense, though, when you consider the distribution of focus between creating and promoting content – according to this rule, you simply should be spending more time and effort promoting compared to creating. 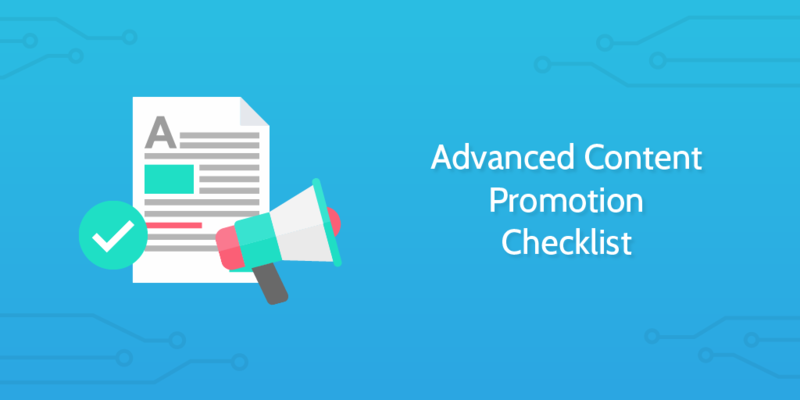 That’s exactly why we created this checklist – to make the process of promoting the content you worked so hard at creating that little bit easier on you. Process Street was built from the ground up to specifically to handle recurring processes, and we believe that there is always room for process automation. Consider any recurring process in your work, or in your life – chances are you could use Process Street to improve it. There are quite a few features that we’ve built up with this in mind – for example, you can schedule tasks to recur on specific dates and times, or as a trigger following events like another member of your team running a checklist. Recurring checklists will keep information about who was assigned to them from one iteration to the next, which means you’ll get automatic notifications about assignments that are due, which helps you to keep track of and scale accountability across your teams. Check out this guide to get started with setting up recurring processes in Process Street. Automation sits hand in hand with integration. Just think about how much time you could save with a tool that lets different processes speak to each other, and with each potential for one process to speak with another, you could automate that. That’s exactly how integrations with Process Street work; they allow one automated process (e.g. sending an email with MailChimp) to speak to and trigger another (e.g. uploading a file to a cloud server). Apart from writing a whole ebook on business process automation, we also maintain an extensive collection of checklist templates for using Process Street to streamline and automate your workflows. Have a look at some of the similar checklist packs listed below – you might find something you can use for your business. If you think any of these checklists might be useful, or you think we overlooked something in one of the processes in this pack, just leave a comment below. And don’t forget to go ahead and sign up for a free Process Street account today!